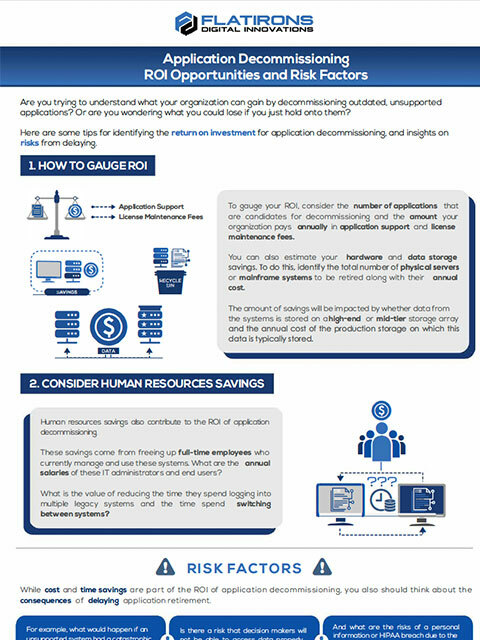 Are you trying to understand what your organization can gain by decommissioning outdated, unsupported applications? Or are you wondering what you could lose if you just hold onto them? Here are some tips for identifying the return on investment for application decommissioning, and insights on risks from delaying.